Today I'd like to share with you a modified wooden tray. It was made for a friend and is decorated and primped up with all her favorite things- love, movies, books, beaches and handwritten notes. :) I particularly love the pop of colors against the woodgrain background. I hope you like it too! Thank you so much for stopping by. Have a fabulous Sunday!! Gorgeous creation your friend will love it... I am struggling to see a TILDA image which is a requirement at Totally Tilda chall..we hope to see you again soon with a lovely TILDA creation..lots more time to re-enter as this chall theme closes June 15th 12 noon GMT.. Thanks for sharing your very creative piece of work with us at Totally Tilda chall. 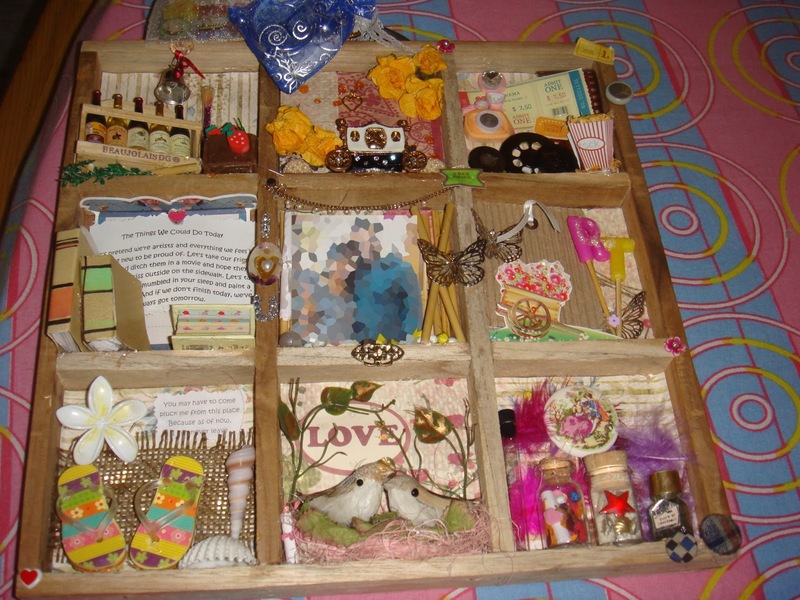 Beautiful shadowbox with lots of treasures! 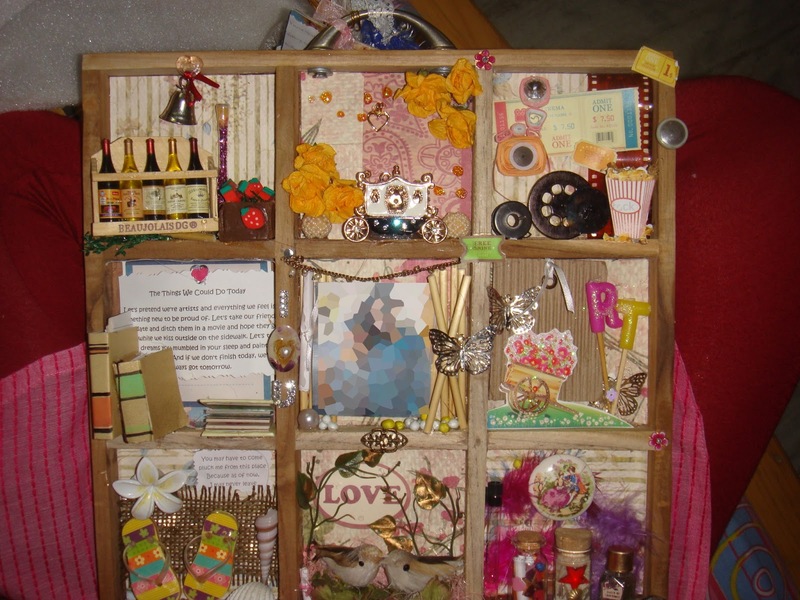 Thanks for sharing this with my challenge at Sandy's Crafty Creations! This is so super creative I love it. I am your newest follower I hope you will come follow me and join in on some of my challenges. This is AMAZING!! A FABULOUS Creation! love it! Great alteration. Thanks for playing at Sweet Pea! Love the altered tray, what a beautiful gift for your friend. Thanks for joining the "You've Been Framed" challenge at the Corrosive Challenge blog. This is lovely and such a lot of work has gone into it. Can I please draw your attention to the fact that when you enter a challenge you need to make sure that there is a link back as you will find most will not enter you into the prizes. If you look at the side bar of our blog there is a page which explains hoe yo do it if you do not know how. Ooh this is such a pretty project - and what a lovely personalised idea! Am sure your friend will love it! This is stunning and beautiful. The goodies look wonderful. Thank you for joining One Sweet Challenge. This is lovely. I love altered items. Thank you for joining us at One Sweet Challenge.